The shorts outside and short tights within can be worn together or separately. On combine them for long runs or sprints to the beach. Take a plunge in the short tights, then jog home in dry shorts. The snug and comfortable short tights inside offer a pocket that keeps your phone, keys and cards locked in place whether running all out or simply walking back home. 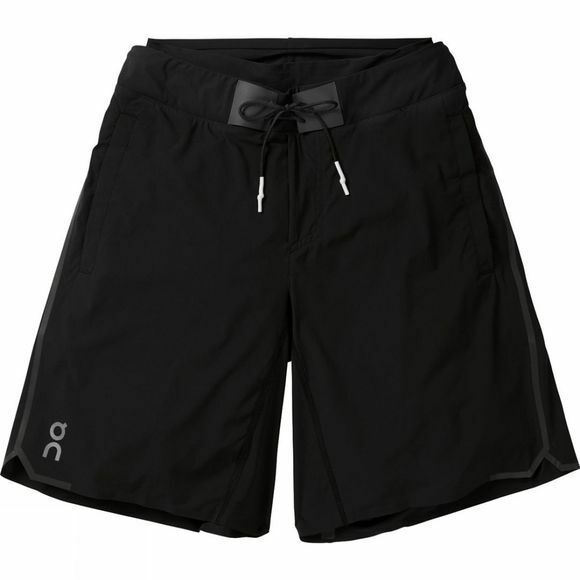 The unique duality of these running shorts can only be possible with the high-quality and high-tech materials. 4-way stretch Nylon. Tear-proof Italian fabrics. All brought together with On's own Swiss Engineering.